Please Mum is having a 50% off sale off everything in its store, including its Canada wear! Plus you can get an extra $10 savings off a $60 with my special code! 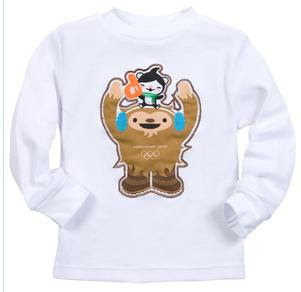 Get some cool Canada wear for your little ones at a great promotional price at Please Mum's online store! Everything is HALF PRICE, and if you buy $60 of merchandise, you can get an ADDITIONAL $10 OFF with using my code CMOMDEAL10 ! Their FREE shipping is still on, too! Get these deals delivered to your door or anywhere in Canada! Check the clearance section for the best bargains - there's plenty of $3.99-$4.50 T-shirt styles to choose from, in short and log sleeves. Cheer on Canada with their Canada wear, like this Fooler T with Screen Print for $15! Shop at these deals online at www.Pleasemum.com. Please Mum is also holding a GO CANADA Photo contest. Submit a photo of your proud Canadian kids in Please Mum clothing, and be entered to win one of two Please Mum wardrobes and Mabel's Labels Gift Packs! Click here to enter! 0 Response to "50% Off Entire Store Online at Please Mum, Includes Canada Wear; Plus $10 Off $60 with Code; Free Shipping"